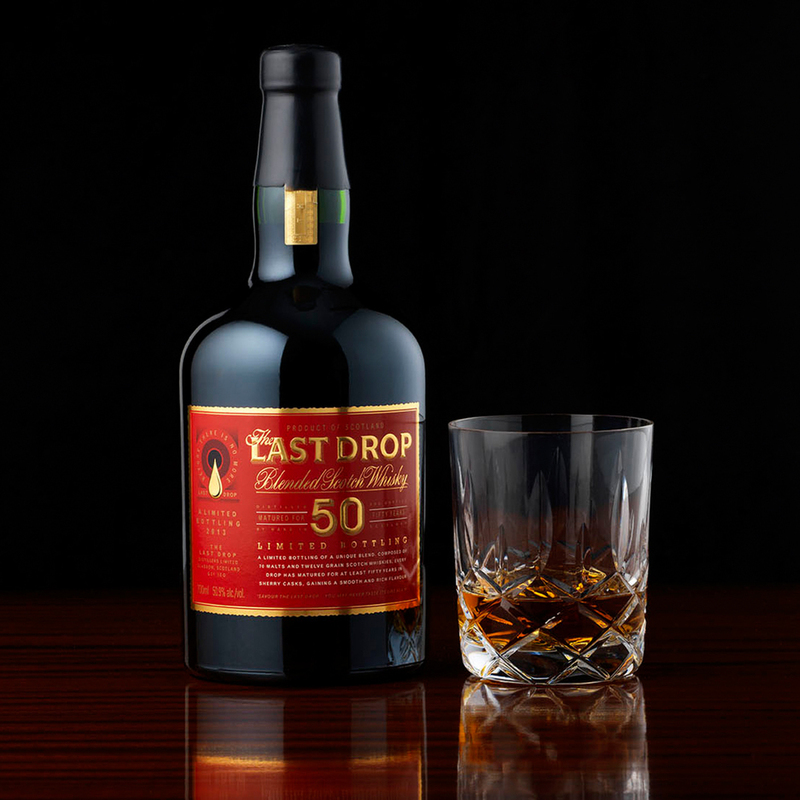 50 Year Old Whisky Bottled by hand and sealed with wax, your bottle of The Last Drop nestles in a luxurious red leather case, along with a 50 ml miniature, so that you can taste this magnificent liquid before you decide to open the bottle. You will also find within the box, a ‘secret drawer’ containing a signed and numbered, leather-bound book, certifying your bottle of The Last Drop 1950, and with room for you to write your own tasting notes as you explore this extraordinary blend. Jim Murray is a world authority on whisky, and author of the world’s leading whisky guide, Jim Murray’s Whisky Bible.Jim gave The Last Drop 50 Year Old a 96.5 rating in his 2013 and 2014 Whisky Bibles, voting it The Best Blended Scotch Whisky of the Year.